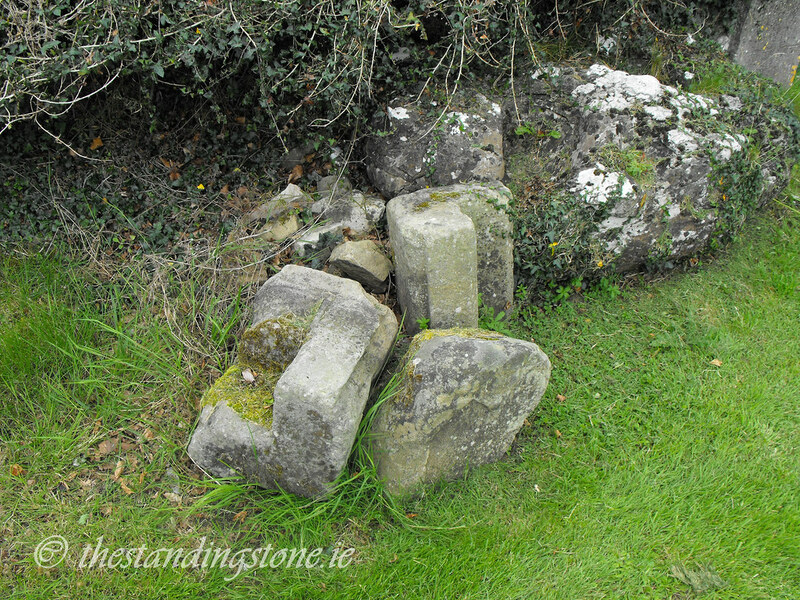 The Standing Stone: Old Kyle Church, Bullaun Stone and Cross Slab, Co. Laois. 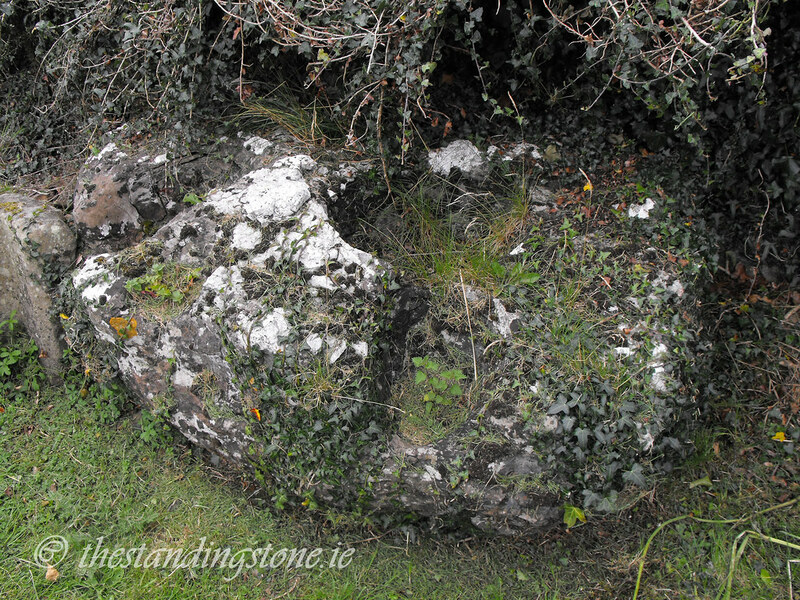 Old Kyle Church, Bullaun Stone and Cross Slab, Co. Laois. 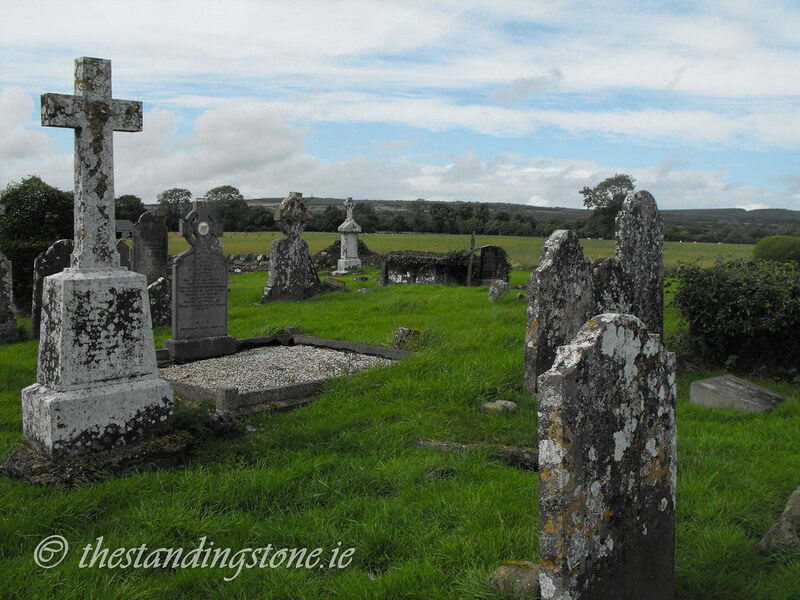 Description and History - Little remains of the church on this site but the cemetery is still in use and some of the older graves are worth seeing in their own right. A church was originally founded here in the 6th century by St Molua, of which no remains survive. The present remains are medieval in date and consist of portions of the S and E walls which are roughly 1m in height. The N and W walls are grassed over and lower but can still be made out. 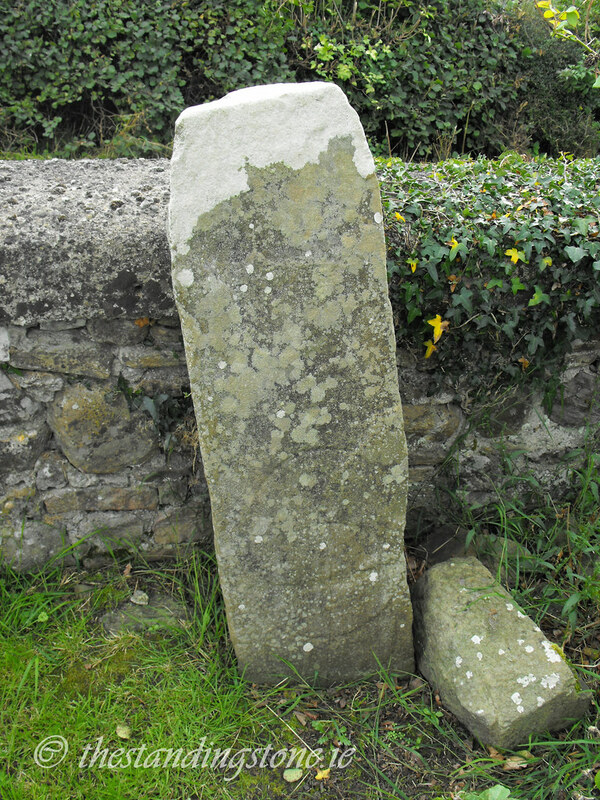 A bullaun stone sits in the graveyard, next to which are some small portions of the Romanesque doorway to the medieval church. St Molua's grave and two early Christian cross slabs are also located in the graveyard but I was unable to locate the grave of the saint and one of the cross slabs. 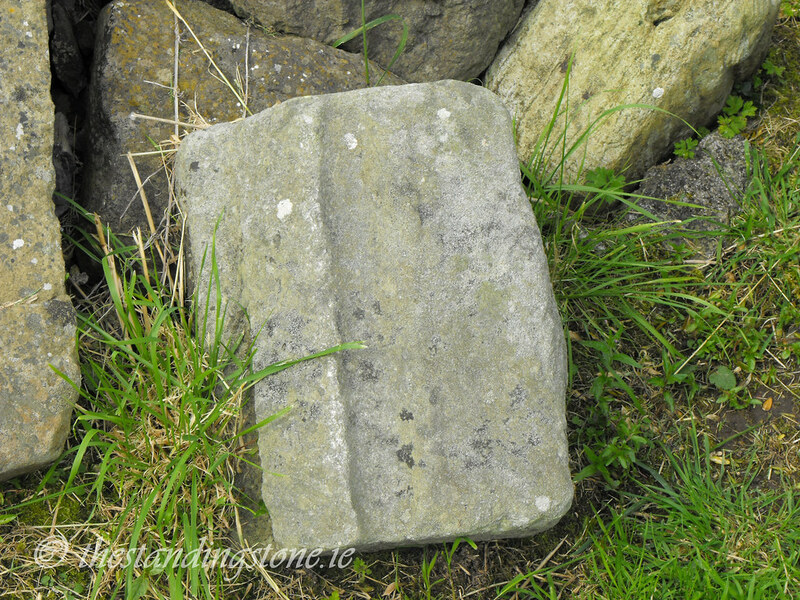 The cross slab that I did find is about a meter tall and has a cross within a circle design on the base. If you find the grave of the saint or the second cross slab let me know. The following is taken from Notes and Queries, June 10, 1882. "ST. M'LOO'S STONE. 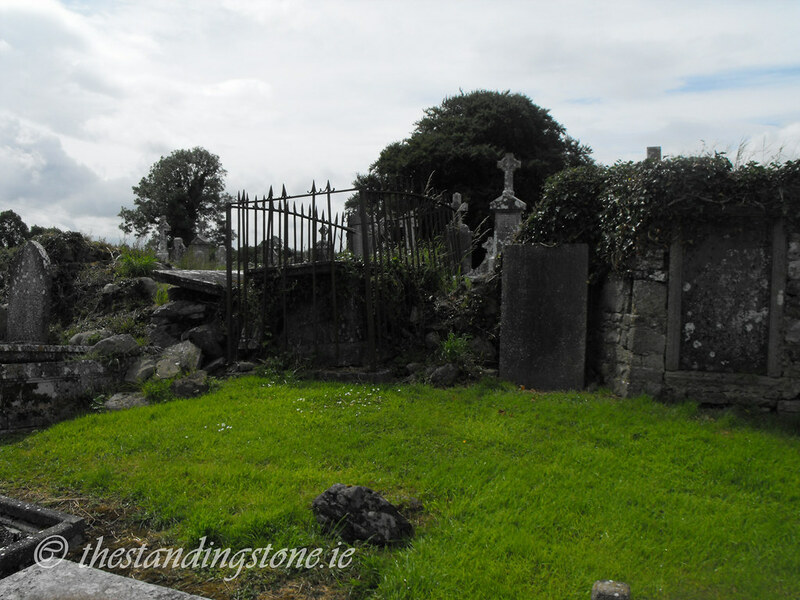 - In the district of Ryle (sic) in the Queen's County in Ireland there exist a grave, a trough, and a stone with which the name of St. M'Loo is connected. His grave and his trough are in a small old burial-ground, in the middle of which stands a ruin, apparently of a chapel, but there seems to be no tradition connecting the name of the saint with this ruin. The grave is 11 ft. long, and faces differently from the graves around. On the assumption that St. M'Loo was the priest, two explanations of this are given in the locality - the one that the priest may more easily stand in front of his flock to present them on the Resurrection Day ; the other, that he may occupy the most conspicuous place to bear the Divine indignation should he have proved unfaithful to his trust. St. M'Loo's grave is at one end of the burialground, and his trough at the other. The trough is of hewn stone, 2 ft. long by 1 ft. broad, and is overshadowed by a small white-thorn tree. Many resort to this trough to be cured by its holy water of their various diseases, and every one who comes attaches a piece of rag to the little tree. The trough is never empty, and is said to be miraculously filled. Interments still take place in Kyle graveyard, and often at Roman Catholic funerals, when the body has been laid in the grave, all the mourners gather round the trough and pray there. St. M'Loo's stone lies in the middle of a field opposite to the burial-ground, from which it is separated by the high road. Tradition states that the saint knelt so often upon the stone to weep and pray that he wore five holes in its surface - two by his knees, one by his clasped hands, and two by his tears. 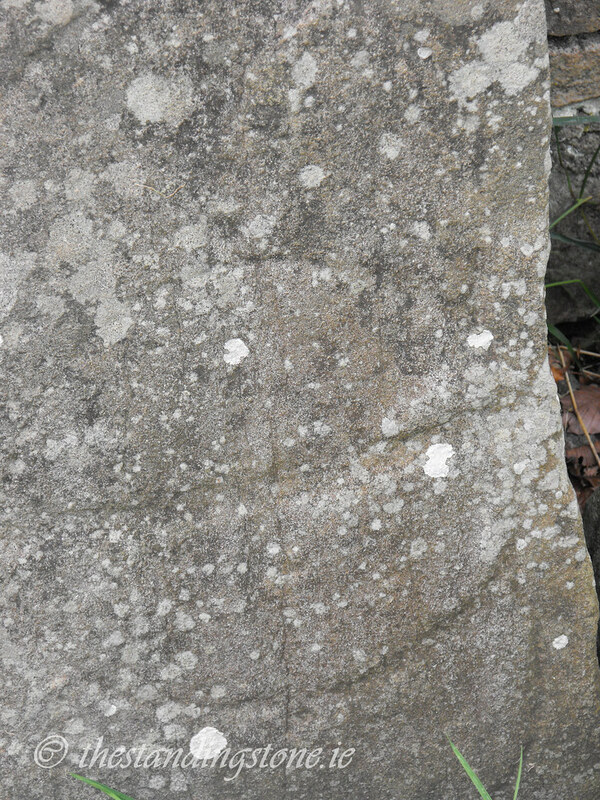 The holes worn by his tears are on the right side of the stone. The circumference of the stone is 15 ft. 11 in., its length 5 ft. 7 in., its breadth 4 ft., and its depth 3 ft. There are on the sides traces of what appear to have been cup and ring marks. The usual unwillingness to disturb such relics prevails, and the people believe that a blight would fall upon any one who ventured upon such desecration. Who, then, was St. M'Loo ?" M'Loo obviously is a form of Molua. Difficulty – Apart from the twisty road this site is easy to get to. 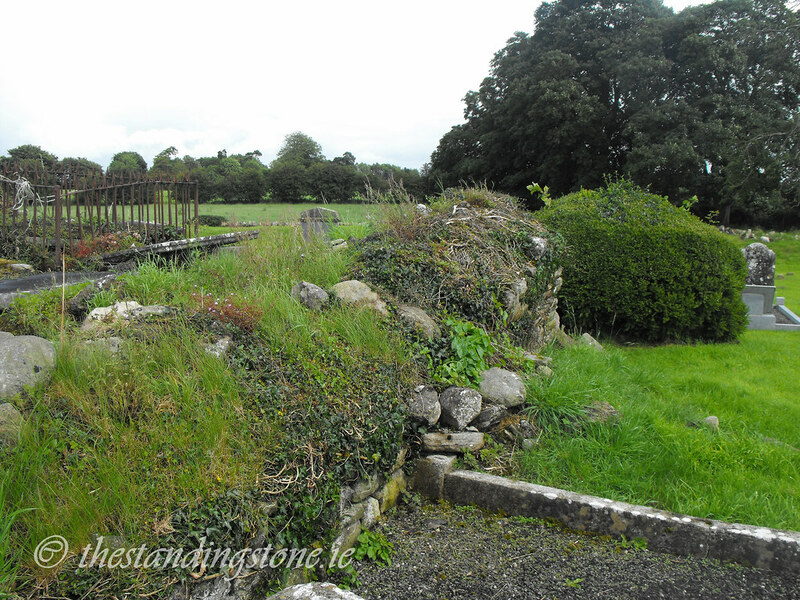 The wall footings of the old church. The massive bullaun stone. It's a shame it's not kept in a better condition because this is a great stone. 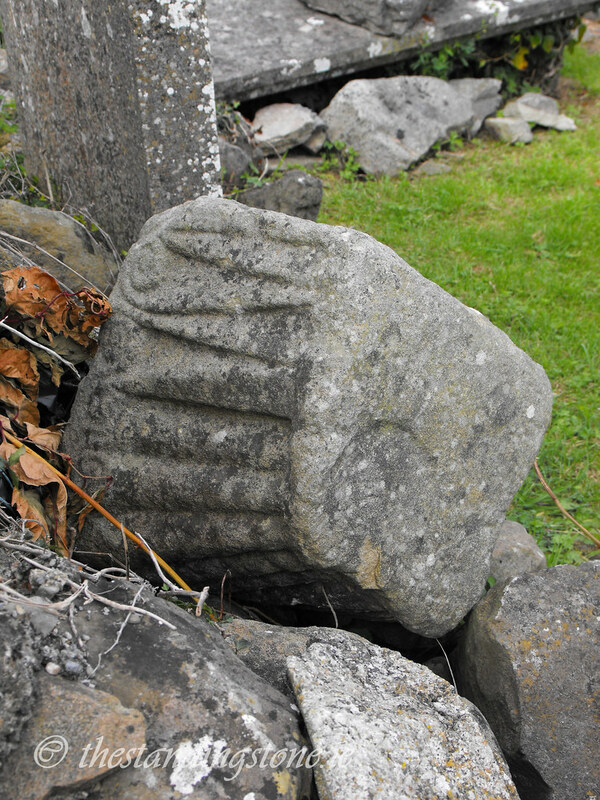 Some architectural fragments from a Romanesque doorway. You can just make out the design of the cross here. This fragment is particularly beautiful. 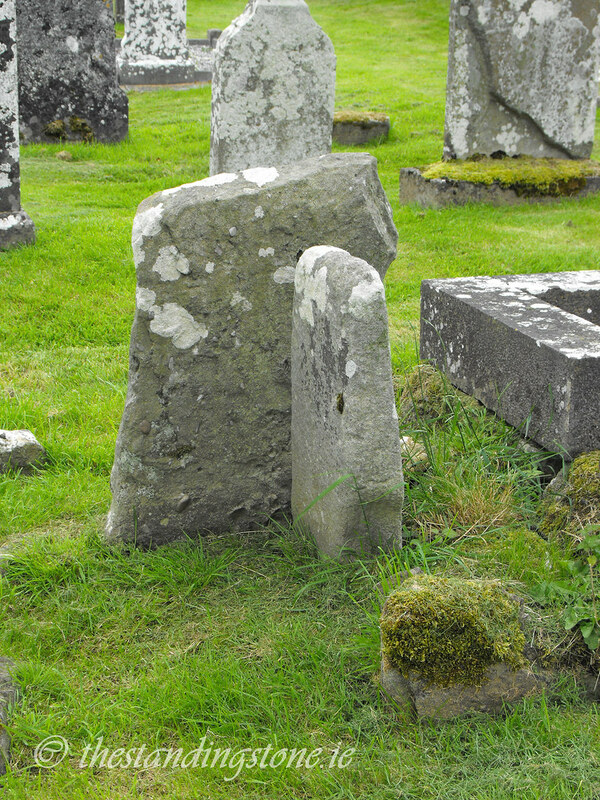 There are interesting little stones like this all over the graveyard.